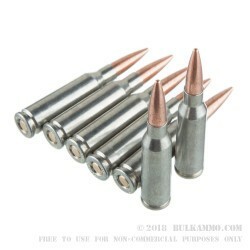 If you are looking for ammunition to shoot through your AK-74 variant then take a close look at this 60 grain FMJ 5.45x39mm ammo offered by Silver Bear. Silver Bear cartridges are manufactured in Russia to the highest standards demanded by military and law enforcement personnel. This ammunition is chambered for the popular 5.45x39mm AK-74 variants and other 5.45x39mm rifles. 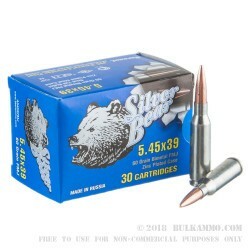 Silver Bear 5.45x39 ammunition is zinc coated for durability and reliability. All ammunition is made to exacting Russian standards and is used around the world in tactical environments, both military and law enforcement, and by avid shooters. 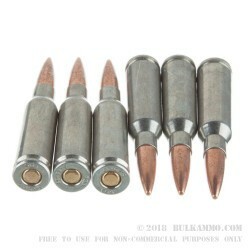 These rounds are Berdan primed, coupled with the zinc coating, this ensures a long shelf life for each cartridge making this ideal for shooters looking to buy in bulk. All Silver Bear ammo is new production, made in a state of the art factory in Russia. 30 rounds per box. Casings are zinc plated steel. Rounds are Berdan primed. All ammunition is non-corrosive to extend the life of your firearm. Silver Bear is one of my Favorites!